You know what they say, don’t watch them make a sausage and also never ask how analysts predict a company’s performance or value stocks. Writing for Barron’s, Tiernan Ray tells us of the imminent Apple doom that is always just a few months away. Apple doesn’t report results until after the closing bell on Tuesday, July 31...but it’s never too soon to start pontificating about what to expect. Aye. [The Macalope turns toward the window as the rain falls] Alas. Morgan Stanley’s Katy Huberty has dug into the work of quantitative analysts to find that probably the current quarter, not the one that Apple is reporting, is likely going to be lighter than expected. Uh, yeah, little history lesson. In April, just a few days before Apple’s second quarter conference call, Katy Huberty revised down her estimate of iPhone sales for the third quarter from 40.5 million to just 34 million. During the conference call, Apple issued guidance for the third quarter the would pretty much make that number impossible unless we’ve crossed over to a parallel universe where math works differently. 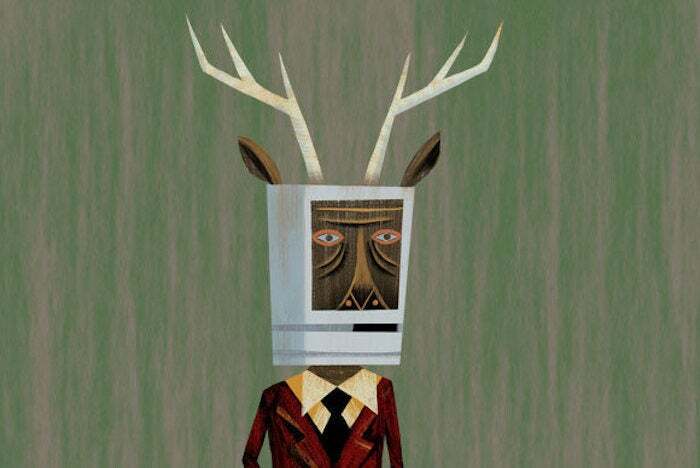 Perhaps The Macalope is missing some deep, quantum-mechanical subtext in Huberty’s notes, but she has an odd habit of predicting problems for Apple’s next quarter during the week leading up to the company releasing its financials. In her note, Huberty does seem to say that this new numerology is better than their old bone-casting. If this leads to better forecasting, great. The Macalope isn’t holding his breath, though. Oddly, despite this supposed “weak September” (which would be a terrible name for an Earth, Wind & Fire cover band), we learn later in the piece that Huberty’s pretty bullish on AAPL, but for weird reasons. So, because HP and Microsoft’s stocks are doing better, we’re going to bump up Apple’s stock. And then when Apple’s stock does well, we’ll bump up HP’s and Microsoft’s. And then… Uh, OK. Whatever the bizarre reason, it’s weird how the “oh, man, AAPL is undervalued” part always gets put down at the end of the article while the “weak September” part always makes the headline. Anyway, good luck with your alchemy. The Macalope feels sure you’ll get that lead turned into gold real soon.